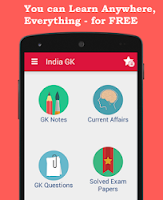 3, 4, 5 February 2018 Current Affairs MCQs, Quiz, Questions: Current Affairs for February 2018, Daily Multiple Choice Questions (MCQs) for India GK, World GK and current affairs with Collection of daily objective type Question by www.Indiagk.net based on General Knowledge (GK) and General Science (GS) Questions for UPSC, State PSC, SSC, Police exam, Railway exam, SBI, Bank PO, IBPC, SSC, LDC, UDC, Army, Airforce, Navy, Coast Guard, Bank Clerk, TET and all entrance examination with current affairs News, Multiple Choice Questions (MCQs) available on Website www.IndiaGK.net and Android Apps with daily updates:. Which city is hosting the 7th India Energy Congress (IEC) 2018? Which company recenlty announce to buy Xerox Corp ? Which country is the partner country at the 32nd Surajkund International Crafts Mela 2018? Who has been honoured with the 2018 Sahitya Akademi Bhasha Samman award? Which city is hosting the 2nd edition of Nobel Prize Series-India 2018?